Playing with some 'calculated risks', England came back to the second half as confident as they were in the first. The English put up a brilliant display of both defensive and offensive gameplay in the latter half, forcing the Selecao to go wide, suppressing their movement in the middle. Steve Cooper, the English coach made some brilliant changes in their lineup, which lead to England successfully defending their lead, as well as adding another goal in their quest. Logging off from Kolkata, this is your host Sourav Neogi. Good night! 90'+5' And they have done it! England has progressed to the final of the FIFA U-17 World Cup 2017! 90'+2' The English players have all come down to defend against the sudden overwhelming Brazilian attack waves! two minutes remaining to the end of the game! 90' 5 minutes of extra time is added to the second half by the fourth official! 86' England with their last substitution of the game! Nya Kirby finds his way IN the pitch as Phil Foden is taken OUT. 85' Substitution for Brazil! Rodrigo Nestor is going IN while Alan comes OUT. 81' Brazil's mindset has dipped severely since the last goal. The Selecao are miss passing throughout the pitch! They need nothing short of a miracle to get back from this state! 78' The attendance count of the game have come forward! The attendance tonight at the VYBK stadium is 63,881! Kolkata, Mecca of Indian Football for a reason! 77' GOOOAAAL! Rhian Brewster scores his hattrick of the game! England leads the game with three goals to one! 71' First substitution for the Latin Americans! Helio Junio comes IN while Victor Bobsin goes OUT. 70' Second substitution for the English! Timothy Eyoma finds his way IN the pitch as Steven Sessegnon comes OUT. 67' Substitution for the Europeans! Emile Smith Rowe IN, Morgan Gibbs White OUT. 65' Weverson overlaps and sends a cross in the heart of the English final third. Lincoln tries to head the ball past the keeper but is inaccurate and the ball goes wide! Wasted once again! 63' Anderson what a save! The Manchester City custodian saves a direct shot from Paulinho, which could have played a part in Brazil's favour! 60' Brewster is fouled upon by Brazilian midfielder Bobsin and the referee awards the English with a free kick! 56' England is basically playing with what might be defined as 'calculated risk'. Foden makes another forward run towards the Brazilian box and tries to find Hudson Odoi upfront. Although, Weverson finds the ball first and Odoi loses possession once again! 52' Hudson-Odoi with a diagonal in the Brazilian box. Brewster finds his way in the box, unscathed and heads the ball wide past the bars! Wasted! 49' It a whole new half and Brazil still aren't done with their missed chances in the final third. If all their shot had gone in the second half alone, they would be two goals up already! 46' And the second half is underway here at the VYBK Stadium in Kolkata! Expected to be the biggest high voltage match of the tournament till now, the game did not disappoint any of the fans present. Despite a rocky first half, the Brazilians displayed an amazing attacking flair, only to be matched by the defensive abilities of the English on field. England, on the other hand, stood confident, closed up gaps and forced Brazil to go wide, which helped them put two past the opponents and a upper hand over the Brazilians. Be back in giffy, stay tuned! 45'+3' And there is the whistle! The referee whistles to indicate the conclusion of the first half. Be back in a couple of minutes, stay tuned! 44' Weverson overlaps and sends in a cross intended for a charging Lincoln, who heads the ball wide over the post in the next moment. Meanwhile, three extra minutes have been credited to the first half of the game by the fourth official. 42' Brenner seems to have injured himself. The referee stops the match and calls for medical assistance for the striker. 39' GOOOAAAL! Brewster's second gives England the lead against the Latinos! Steven Sessegnon, what a pass in the final third! 36' The Europeans seem to be playing high line since the last couple of minutes! Although in their backfoot, it will be dangerous for the English defense to contend the Brazilian vanguard if either of Antonio or Paulinho gets the supply upfront and decides to go for a joyride! 32' England on their front foot! Foden tries to cut in from the left side of the pitch but is intercepted by Wesley who takes the ball back towards the midfield. With the lack of chances from England and all those missed chances by Brazil, i wonder who will come out as the winners of this game! 28' Brenner on the ball, tries a giffy with his weaker foot but the ball goes wide and outside the pitch. Meanwhile, Marcos Antonio is booked by the referee after his rash challenge on Foden. 27' Hudson-Odoi showing his blistering pace in the right wing. Wesley goes to intercept him but could not stop the forward. The Chelsea youngsters goes on to fancy a cross, which is deflected and goes out of the play! 25' Foden looks frustrated by not being able to hold the ball. Meanwhile, Paulinho is injured and is lying on the pitch and the referee calls for the medical crew to assists the forward. 21' GOOOOAAL! Wesley equalizes for the Brazilians! The game is on! 17' The Brazilians have changed their formation into 4-1-3-2, using Victor Bobsin as the anchor to the midfield. With the sudden counter attacks from the English, I will not be much surprised if they concede another sudden goal before the half-hour mark! 15' Offside! Brazilian skipper Vitao comes close to scoring the equaliser but shot the ball wide. The linesman calls in for offside! 14' Liverpool youngster Brewster scored a tap-in after picking up a deflected shot by the Brazilian goalkeeper, Brazao, who saved the first shot by Brewster, who tried to head Hudson-Odoi's cross home. With an early goal already under their belt, England will be tough to break but the Brazilians seem adamant at the job nonetheless. 10' GOOOOAAAAL! England have taken the lead! Rhian Brewster scores! 7' Lincoln is provided with a long ball up the right flank but the Brazilian is closely monitored by Jonathan Panzo who dispossess him quickly before losing the ball himself. 4' The South American boys have lined up in a traditional 4-3-3, with which they have already been making some momentum upfront with continuous pressing the English side. The English, on the other hand, have decided to line up in a conventional 4-2-3-1, allowing themselves to go on the occasional counter attacks. 1' And the match is underway! Brazil face England in the semifinal of the FIFA U-17 World Cup 2017 at the VYBK Stadium in Kolkata. 05:00 PM Both the teams have chosen their sides and the bonanza is moments from the start! 04:55 PM Both the teams are coming out of the tunnel. The national anthem is too kick in soon momentarily. Who do you think will come out on top? 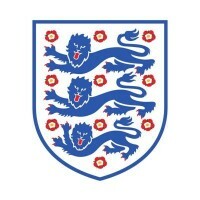 Will it be the Samba boys or will it be the Three Lions? 04:50 PM The ball boys and the match ball is out. The match officials and the players will be out within minutes, stay tuned! 04:45 PM All the players have gone back into the tunnel and to the dressing room. The pitch is being prepared with the last touch for the semifinal. It has been an absolute ocean of spectators outside the stadium, i doubt if all of them can get in their respective stands with enough time to spare. 04:40 PM Here are the substitutes of the two teams! 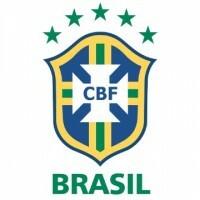 Brazil U-17: Lucao (GK), Sena (GK), Junio, Stockl, Guth, Candido, Yan, Nestor, Vitinho, Alberto. England U-17: Bursik (GK), Crellin (GK), Eyoma, Gibson, Gomes, Kirby, Loader, Smith Rowe, Crellin. 04:35 PM Here is the starting lineup for the two teams! Brazil U-17: Brazao (GK), Wesley, Vitao (C), Halter, Bobsin, Weverson, Paulinho, Antonio, Lincoln, Alan, Brenner. England U-17: Anderson (GK), McEachran, Guehi, Panzo, Foden, Oakley-Boothe, Brewster, Hudson-Odoi, Latibeaudiere, Sessegnon, Gibbs White. 04:30 PM Hello peeps! Such a wonderful day in Kolkata and it's been a delight to host the rescheduled semifinal game of the FIFA U-17 World Cup at the Mecca of Indian Football. Far from the expected gloomy, the weather here is just perfect for a high voltage football game between the two behemoths, Brazil and England. Stay tuned and enjoy the commentary with Khel Now Football!